La Masia rural Can Poch is a charming rural accommodation, built in 1633 and completely restored by the owners, Marissa and Joaquim. The restoration of the Masia began in 2005 and opened in May 2010 maintaining its original essence while making it an ideal place to spend a weekend surrounded by nature and comfort. 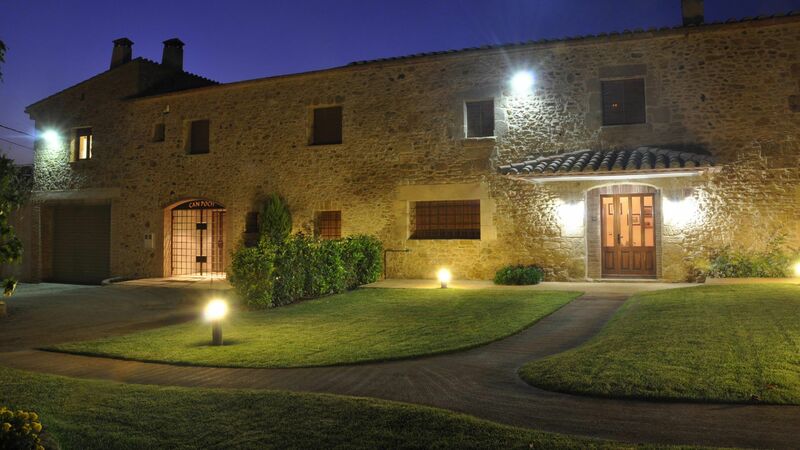 Can Poch is located in the heart of the Empordà; specifically, near the walled village of Pals, a village that, like the property, has history and charm in equal parts. In the farmhouse, guests will find the calm and tranquility that provides a retreat in the nature, with the comfort of being only 5 minutes from Pals. The garden, of 2000 m2 of lawn, next to the swimming pool will provide the guests with an ideal environment to relax and enjoy a quiet and pleasant stay. La Masia has all the necessary services to make your holiday a perfect experience. Among them, the swimming pool, the jacuzzi and the kitchen / barbecue, as well as heating, lift and Wi-Fi services and free parking stand out. In terms of capacity, Can Poch can accommodate 16 people, with capacity expandable to 18. The rental possibilities are multiple and personalized: you can rent rooms, for two people, apartments, for four people, or even the whole farmhouse, For those who want to enjoy a special holiday, or for any type of celebration. * Closed from November 5 until Easter, except for full house reservations with a minimum stay of 2 nights.